Disposable polystyrene serological pipets from Next Day Science are made from crystal clear medical grade polystyrene and sterilized by gamma irradiation. Guarateed DNase/RNase and Pyrogen free makes our serological pipets ideal for tissue culture applications. How do you use serological pipettes? 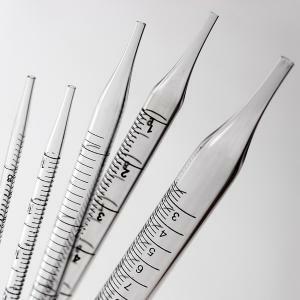 Serological pipettes are often used to find out the volume of some liquid. With this pipette type, you can calculate the definitive volume. Do this by taking the difference of the level of liquid before then after dispensing the liquid. This is a standard method when using such a pipette. When using a serological pipette, hold it in the solution without touching the bottom. Squeeze the bulb then attach to the pipette's top. Hold your forefinger on the top of the pipette to manage the volume aspiration. Then subtract the amount you need into a separate beaker. Do this while maintaining eye level to ensure proper measurements. Measure the solution from the bottom of the meniscuses. After that, subtract the volume you need from the volume you started with. Finally, get the volume required to release so you can get the amount you desire. How accurate are serological pipettes? The accuracy of the pipette will depend upon its smallest increments. This is typically 0.1 for pipettes of 2ml or larger. However, there are some cases where you would need greater precision. In such cases, use the serological pipette along with a micro-pipette. How do serological pipettes differ from Mohr pipettes? Both pipettes have the same functions. Use them for the measurement or transfer of liquids in minuscule quantities. They only differ in certain features. 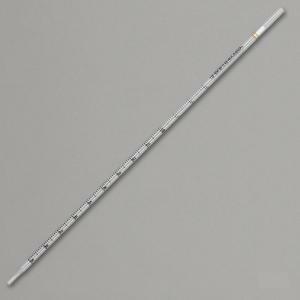 For the Mohr pipette, it has gradations that always end before the pipette's tip. The serological ones, on the other hand, have gradations continuing down into the tips. With a serological pipette, the marks for calibration extend way to its tip. If you draw back a specific amount of fluid, the same amount is also dispensed when you empty the pipette. With the Mohr pipette, the marks for calibration don't extend to its tip but a point just above the tip. Typically, you would draw fluid up to the graduation mark. But when you dispense to the zero mark, not all the fluid gets evacuated from the pipette. What is the main purpose of serological pipettes? 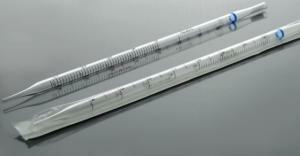 Serological pipettes are typically used to transfer milliliter volumes of liquid. The pipettes are usually sterile, made of plastic or glass, and disposable. The different types of pipettes are very useful for drawing up and dispensing of liquids. Paying careful attention to the levels of liquids is essential. Whether it's the liquid, you're aspirating or dispensing when using serological pipettes. Careful attention is very important for the main purpose of the serological pipettes. Do this to get the most accurate milliliter volume measurements of solutions. 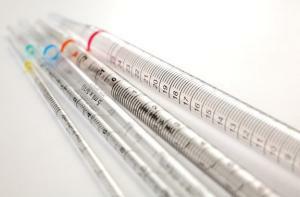 What are the different volumes available for serological pipettes? 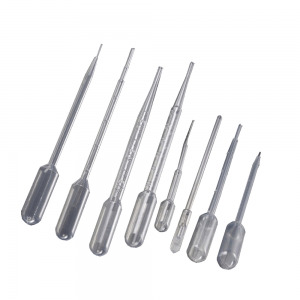 Depending on the function, you can purchase serological pipettes with different volumes. These include 1ml, 2ml, 5ml, 25ml, and 50ml. The pipettes are of transparent polystyrene plastic with positive and negative scale prints. These are suitable for a wide range of applications.